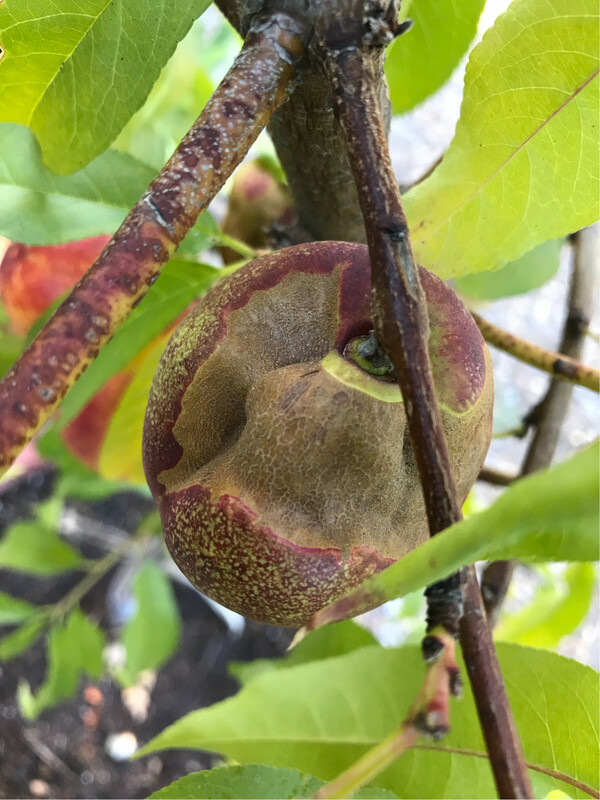 Why do some of my nectarines have missing skin and deeply damaged interior sections? I have an approximately 4 ft tall baby nectarine tree. Some, but not all, of the fruits, have large areas of missing skin, and deeply damaged dark interior sections. I live in zone 9b in Northern California. This is a guess until we have more information, ID of the thrip for example? Do you have any blooms left? This article tells you how to find the insects (they are tiny). A little specimen microscope and or a camera with micro capabilities. Not the answer you're looking for? Browse other questions tagged diagnosis fruit-trees nectarines or ask your own question. What is causing the bark on my crabapple to crack and peel off? What fruit trees are suitable for growing in containers in a subtropical zone? Why are my figs dry inside and not ripening? What is wrong with my Italian Cypress? Why is my avocado tree dropping its leaves?